Key Stage 1 and years 1 & 2 show us how it’s done! It’s a Broadway melody ! Well done you Robins !! Ryton Festival. Whatever will happen to? Does anyone remember Any Questions? Read my review for Thorp Academy ‘We Will Rock You’. There are still two chances left to see it! National Glass Centre and back to school…..
I’ve had a lovely weekend, spending Saturday afternoon with Heather, my friend Lyndsey, and her two little’uns at the National Glass Centre in Sunderland. You will see I’ve written a review of the Centre for What’s Good To Do, and in it I mention the glass roof. It’s made of glass 6cm thick and strong enough to hold 460 people in one go. You know you’re safe on it, and yet it’s a very hard thing to begin walking over it, and it took us several attempts and a lot of squealing to get going. Once you’ve got used to it you can look 40’ below into the brasserie reception area and shop. I advise that the wearing of trousers is a strict necessity, steer clear of skirts and kilts – or if you do have to wear them make sure that everything is safely gathered in. 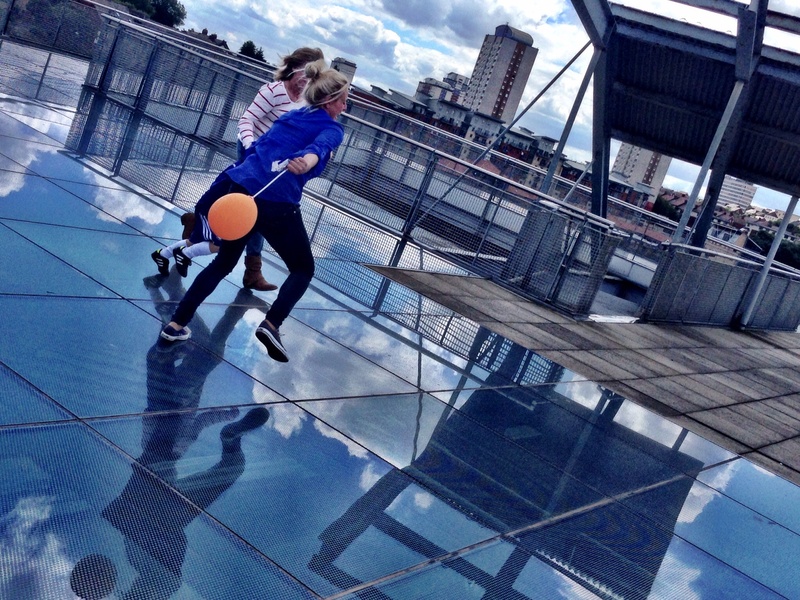 Continue reading National Glass Centre and back to school…..